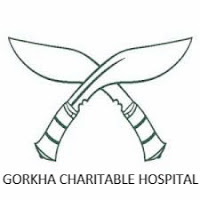 A new committee has been formed with the aim of formation of Gorkha Charitable Hospital for providing medical facilities to the Gorkha families living in the hill area and other parts of India. A resident of Sukna Siliguri Mr Suren Pradhan came up with the concept of Gorkha Charitable Hospital.There was a general meeting regarding the concept on 18th of June 2018 Mr Mahendra Subba was the coordinator from Siliguri and concluded with forming of 23 member body to carry out the process further. Around 70 member participated from Darjeeling ,Kurseong , Kalimpong and Mirik as citizens representative. Mr. Suren Pradhan and Mahendra Subba were chosen as the coordinator of the meeting and a detailed project report has been prepared . The newly chosen coordinator Mr Suren Pradhan iterated for the support of the hill people for the cause , as the formation of the Gorkha Charitable Hospital will benefit the Gorkha community living in hills and other parts of India. Several public interaction meet are being carried out in different parts of hill region for the formation of the Gorkha Charitable Hospital similarly a general public meeting was carried out at Bijanbari on 24th of September 2018 at Kala Sangam Bijanbari. Local residents and few organisations took part in the awareness program . A Detailed Project Report (DPR) shows an estimation of Rs 45 Crore for the first phase. The main objective of the concept is to help and provide the hill people of easy and affordable medical facilities.